European astronomers have found two new Jupiter-sized extra-solar planets, each orbiting one star of a binary-star system. Most known extra-solar planets orbit stars that are alone, like our Sun. Yet many stars are part of binary systems, twin stars formed from the same gas cloud. Now, for the first time, two stars of a binary system are both found to host a “hot Jupiter” exoplanet. 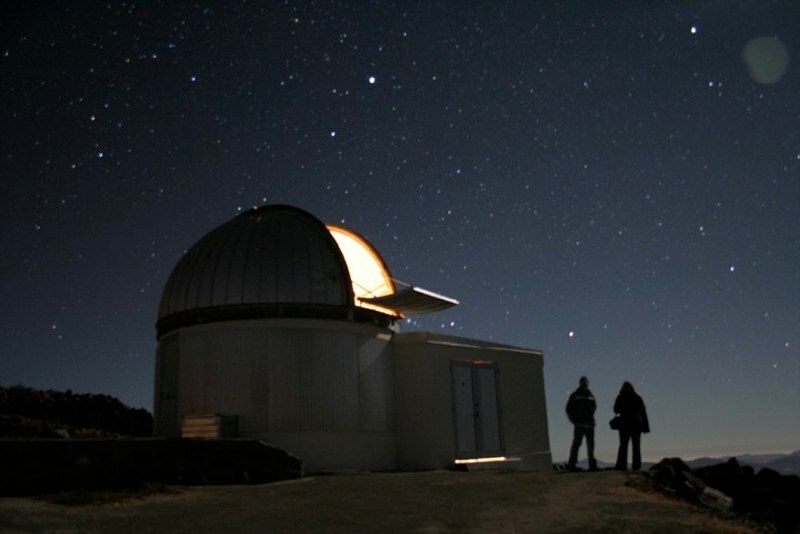 Marion Neveu-VanMalle (Geneva Observatory), who wrote the announcement paper, explains: “We observed the other star by accident, and then found a planet around that one also!”. Hot Jupiter planets are much closer to their stars than our own Jupiter, with a “year” lasting only a few days. They are rare, so it would be unlikely to find two Hot Jupiters in the same star system by chance. Perhaps WASP-94 has just the right conditions for producing Hot Jupiters? If so WASP-94 could be an important system for understanding why Hot Jupiters are so close to the star they orbit. The existence of huge, Jupiter-size planets so near to their stars is a long-standing puzzle, since they cannot form near to the star where it is far too hot. They must form much further out, where it is cool enough for ices to freeze out of the proto-planetary disk circling the young star, hence forming the core of a new planet. Something must then move the planet into a close orbit, and one likely mechanism is an interaction with another planet or star. Finding Hot-Jupiter planets in two stars of a binary pair might allow us to study the processes that move the planets inward. Professor Coel Hellier, of Keele University, remarks: “WASP-94 could turn into one of the most important discoveries from WASP-South. 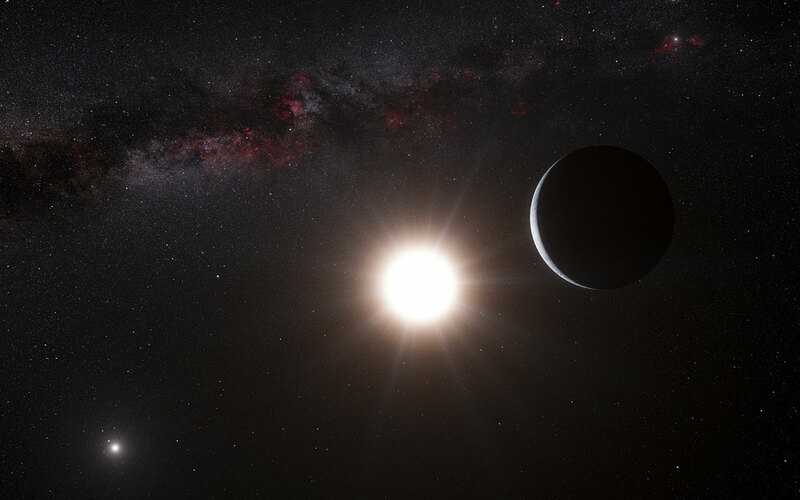 The two stars are relatively bright, making it easy to study their planets, so WASP-94 could be used to discover the compositions of the atmospheres of exoplanets”. The WASP survey is the world’s most successful search for hot-Jupiter planets that pass in front of (transit) their star. The WASP-South survey instrument scans the sky every clear night, searching hundreds of thousands of stars for transits. The Belgian team selects the best WASP candidates by obtaining high-quality data of transit lightcurves. Geneva Observatory astronomers then show that the transiting body is a planet by measuring its mass, which they do by detecting the planet’s gravitational tug on the host star. Update: This press release has resulted in articles in phys.org, sciencedaily.com, world-science.net, yahoo.news, Science World Report, and breakingnews.ie. This entry was posted in Hot Jupiters, WASP planets and tagged binary star, Coralie, TRAPPIST, WASP-94, WASP-South on September 30, 2014 by waspplanets.